Happy Sunday everyone! Here we are at the start of a new month and we start off celebrating May Day/Beltane. Today we are under the influence of the Scorpio Moon, which will be a Full Moon tomorrow morning. Scorpio can help us release our fears and takes us to new emotional depths. With the Sun in Taurus at this time, we are able to manifest our desires and goals once Scorpio has removed any self-defeating beliefs and behaviours. One thing we need to be aware of right now is a challenge during this Full Moon from Mars and Pluto, which came together a couple of days ago. It brings a rudeness to the mix, so we need to avoid angry people and situations. Now, let’s take a look at what this new week has in store for us. Monday starts off with that Scorpio Full Moon, which is a good time for releasing, harvesting, and letting go. The Moon in Scorpio urges us to uncover our own power, and it’s an excellent time to rid ourselves of old fears and limiting habits. It can be an intimate and passionate time. Avoid manipulative tactics, brooding, and suspiciousness. We also have a square between the Sun and Lunar North Node. The North Node represents the point in our life that is forward moving and our overall life lessons. Some even say that it represents our destiny. So, this aspect taking place today can bring feelings of conflict between our sense of identity and purpose with the lessons we are needing to learn in our lives. It can manifest through situations where we feel we are being forced off course or forced to take a detour that is not as direct as our chosen road. That tends to make people feel uncomfortable but there is usually more to those detours than we realize. Some may find themselves confronted by dilemmas and conflicts at this time that causes stress and these are situations that we may normally resist. We may feel the effects of this Sun/Node transit for about a week and a half prior to, and a week and a half after this date. It can cause those areas that the Moon covers, such as our intuition, sensitivity and inner feelings, to feel unstable or out of balance. Tuesday is May Day or Beltane to our Pagan brothers and sisters. 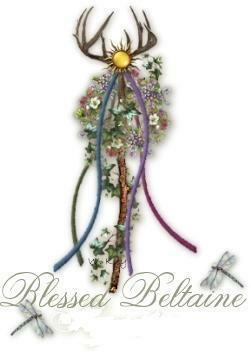 Beltane celebrates the return of the sun and fertility. Our morning begins with a Void of Course Moon that will be with us until the late afternoon. It then moves into Sagittarius, bringing some peace and stability. We tend to become a bit more orderly and calm, are ready to follow routines and rules and have a need for giving and receiving advice and recommendations. Our focus turns to our social life and where we fit in. It also turns from inner soul searching to exploring the world around us. This lunar mood is very adventurous, active and restless for exploration. We want to experience life first hand. we want to get outdoors, see the sights, connect with nature, go places we haven’t been before. Wednesday brings a harmonious sextile between Venus and the Lunar North Node. So we find balance in our domestic life and our those relationships where we feel close to others. We find it easier now to express our feelings, which contributes to a happier love life. Our focus also turns towards making our home more pleasing. If you have a sense of well-being when you think about the possibilities of love, pay attention to it, and believe in it. Friday is a quiet one in the skies but in the wee hours of Friday morning, the Moon will go Void of Course for a brief period. It then moves into Capricorn, where our emotional charge seems to decrease as our feelings of duty and responsibility move to the fore. We tend to become more practical and logical, as well as more demanding and less sensitive to others and ourselves. Its a good time for creating structure and planning ahead. This can be a very sober influence–even a depressing one. However, it can also be a productive time when we look reality in the face. Saturday is a quiet one in the skies for us but we still have the energy of the Capricorn Moon in play. So, we can focus on planning and being productive. Sunday brings us a sextile between the Sun and Neptune and this transit illuminates our intuition and gives us faith in the blessings around us. We tend to feel like we are flowing more easily with life as solutions appear all by themselves. Let go of imagining what is not possible and focus on what is. It’s a good transit for pursuing mystical and spiritual matters, which is where our thoughts seem to drift at this time. If you have been feeling a bit out of tune or disconnected with the Universe/Divine, the energy of this transit can help you to reconnect again. Sunday afternoon brings a brief Void of Course Moon that will shift into Aquarius soon after. When the Moon is in Aquarius it brings us feelings of openness with a sense of inner freedom. Our emotions become more alive and we feel we can express them more freely. What we can’t cope with are limitations being imposed upon us or pressure from others because our main focus is on our inner feelings of independence. This is a time that promotes social gatherings, dealing with group ideals and goals for the future, brainstorming, new ideas, and progressive changes. 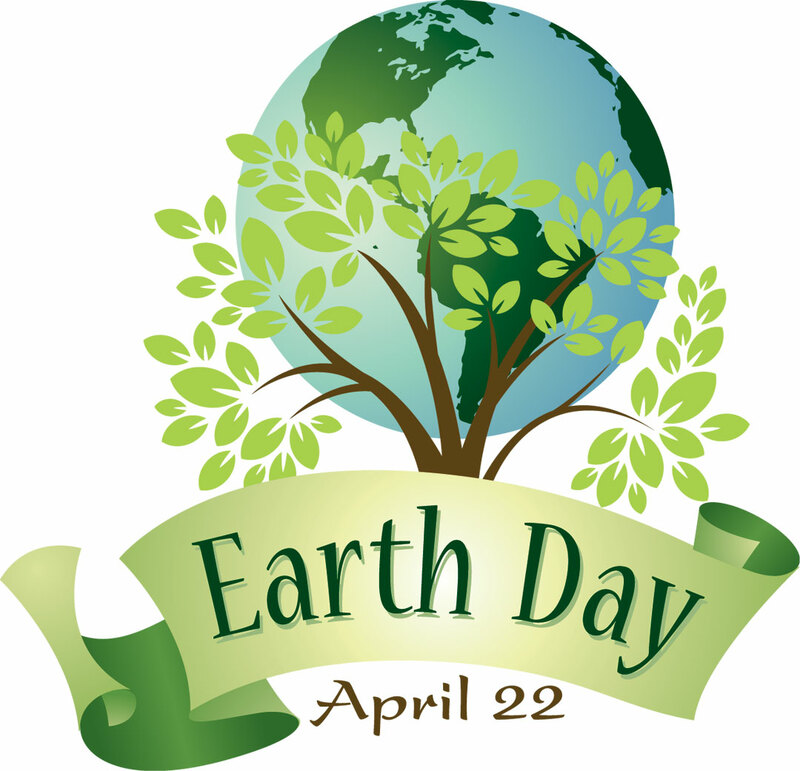 Happy Sunday everyone, and Happy Earth Day! Today we have transforming Pluto turning retrograde until September 30th. So we need to ask ourselves what or who we want to release in our lives. Pluto can help us release the aspects of our lives that no longer hold energy for us. Pluto can help us to burn those bridges that need burning. Now, let’s take a look at what this week has in store for us. Monday is a quiet one in the skies for us, but Tuesday gets a bit busier. We have Venus moving home into Gemini. where we see relationships, resources, and finances all bring out a bit of curiosity. This makes a great time for creating strategies for improvement in those areas of our life that Venus controls. Exchanging ideas is also great under this aspect of Venus. We have a sextile between Mars and Jupiter happening, a transit that lifts our spirits and can bring the potential for cheerfulness, optimism and increase to our energy. It’s a time for making changes that will allow our own behaviour to be brought into alignment with our ideals, aspirations, and beliefs. We then have a sextile between Venus and Chiron, a short but friendly aspect that can give us the opportunity to harmonize difficult relationships and make some progress in our efforts to heal and rebalance. This not only affects relationships but social interactions, our values, finances, health, and spiritual connection. We have a brief moment with this transit to facilitate change in those situations that we feel are still within our control, and to accept and adapt to situations that are out of our sphere of control. Tuesday evening starts off with a Void of Course Moon that shifts into Virgo in the late evening. In this mutable earth sign of Virgo, the mood is geared toward busy productivity and adjusting with minor tweaks here and there. It favours clearing, refining, purging, detoxing and organizing. It also favours launching self-improvement schemes. We become more rational and practical. It’s the small details that seem to be more important to us now, in some cases more than they are in reality, which can lead to arguments over what seems like insignificant little things. We do become more disciplined and responsible, careful and diligent, but only with those small details. It’s not a good time for making any large, risky or important decisions now because we tend to not be tapped into our intuition enough to foresee what the consequences of the future will be. This makes it a good time for doing routine work that requires precision, concentration on detail and hard work. Wednesday brings some minor mental challenges when Mercury squares off to Saturn, making it best to steer clear of those difficult conversations. Getting from point A to point B can be a challenge during this transit due to obstacles and delays. Communications may be blocked or delayed, and negative thinking could dominate at this time causing feelings of irritation. Words spoken may challenge what you have long-accepted, causing you to deny their significance. Stay focused yet listen carefully; important information is available. Thursday brings a mid-morning Void of Course Moon that stays with us until the wee hours of Friday. We have a conjunction between Mars and Pluto today, a powerful and somewhat volatile combo. On the upside, it can help us to focus on our goals, to take decisive action, and to go after what we want. While it brings the opportunity our way for creative healing, it also brings the challenge of destructive damage. The downside here is being too forceful or willful just now. Also, watch for overdoing things to the point of exhaustion. This is also a time where the urge to express ourselves sexually, passionately, and intimately is at a high. As always, try to keep it in balance. Have fun but use good judgement. Friday starts off with the Moon moving into Libra in the early hours of the morning, creating a feeling of harmony and calm. We find we more easily connect with people, compromise is more likely and conflict less so. It’s a time when we find it easier to understand and relate to others. We tend to be polite and diplomatic, and would rather avoid arguments. It’s a social energy that will be with us for the weekend. We also have a trine between Mercury and the Lunar North Node, an aspect that brings us a fresher awareness as well as a better ability to communicate that awareness. It is a beneficial resource which can help us to take a few more steps closer towards our life purpose. Just bear in mind that we also need to take action too. Saturday is a quiet one in the skies, but we have that social Libra Moon that makes it great for socializing and enjoying being pampered a bit. Early Sunday morning brings a Void of Course Moon that moves into brooding Scorpio a couple of hours later. The Moon in Scorpio is where emotional charge and sensitivity increases. It’s a time where we need to be careful not to get swept away by irritability, mood-swings, hysteria, big and small excitements, and a sudden desire to quickly change everything. People tend to become more conscious of self and others and see everything in dark tones with the Moon in Scorpio. It can be a time for healing as we destroy the roots of a disturbance in our life. We also have a trine between the Sun and Saturn today. The Sun is energy and Saturn is discipline, and the Trine is the most supportive transit of them all. This can be a really down-to-earth transit. It brings us back into contact with ourselves and helps us to get to know ourselves through our relationship with, and our effect on, our environment. This is a time to examine your habits, your home situation, your work, and everything else that is important to you. Determine how they work on a practical level. Begin organizing your life and making an overall plan. Even your relationships should be supportive now. Happy Sunday everyone! We are now in the second half of April, the weather is getting warmer a bit at a time and the days are getting longer. Today we are under an Aries Moon that is getting ready to enter its New Moon lunation in the early hours tomorrow morning. Today makes it a good time for tuning in to our intuition and quieting our minds in order to allow something that may have fallen by the wayside during our hectic lives to be found again. It will be an interesting start to the week with Mercury going direct and the mix Void of Course/New Moon in Aries/Taurus energy. So, let’s take a look at what this week has in store for us. Monday begins with the Moon entering it’s New Lunation in the early hours of the morning. It starts off in Aries, where we are brought fresh winds of courage and inspiration to persevere. It can be a good time for looking back and reflecting on the recent situations and opportunities in our lives where we can now see more clearly, accept what has passed and move on. About 4 hours alter the Moon goes Void of Course in its New lunation and then moves into Taurus by mid-morning. With the New Moon moving into Taurus we get the opportunity to ground and settle any energies that we have unearthed. It brings a nurturing energy that allows us to move forward and guides us to physically engage in those things that nurture us. While the Moon is shifting in and out of signs, we also have Mercury going direct this morning. While things will start to move forward again, we aren’t entirely out of the woods here. For up to a week before and after today, you may experience mental intensity, confusion, and miscommunication or changes in your outlook. However, with Mercury beginning its forward motion once more, we can start to implement those new plans, tweaks and ideas. Things will start out a bit slow, but ramp up as we move into the next 2 weeks. Tuesday brings us an opposition between Venus and Jupiter and we need to be cautious with this transit because our desires for pleasure are at a high. This means a rise in sexual desire as well as in desires for all things that bring us pleasure. And while there isn’t anything wrong with a bit of indulgence, this transit tends to make us go a bit overboard; overblown expectations in relationships, the use of seduction to gain something that really may not be in our best interest, overindulging in foods and drink that may not be good for us, and impulsive spending are all things to watch out for now. We also have a trine between Venus and Pluto, where aspects of love become apparent without the usual stresses and strains. So, if you have been wanting to deepen or renew a previous commitment in a relationship, now is a good time to do so. Just before midnight, the Moon will go Void of Course. Wednesday brings us a conjunction between the Sun and Uranus, so we need to allow our eccentric inner weirdo out for a breath of fresh air today. Our natural exuberance for life is stimulated under this transit and it becomes easier now to break ourselves free of old habits and any ruts we have felt stuck in. We do need to be careful though that we don’t take that one step too far into reckless behaviour. We also have the Moon moving into Gemini in the early afternoon. Under Gemini’s influence, our basic instinct is to communicate, think, and share ideas. We are motivated by a desire for variety and by an instinctive curiosity. The Moon in Gemini is light-hearted, breezy, and curious, but it can also be restless and fickle. It is a good time, however, to be on the move, travelling short distances in order to fulfil that need for new impressions, and meeting up with friends and relative. Thursday is a quiet one in the skies for us, but Friday sets the mood for the weekend with Moon moving into Cancer in the mid-afternoon. So we will start to feel the restlessness of the Gemini Moon giving way to that more instinctive need for peace and quiet. This is a nurturing energy and is best used spending time with loved ones, beautifying our homes and sharing on an emotional level. The Sun enters Taurus today as well, so Happy Solar Return to all of you Taureans! Our focus will now turn to material issues, basic needs and putting our finances in order for the next month. Saturday is another quiet one in the skies, but we still have that nurturing Cancer Moon to tap into until Sunday afternoon. The Moon will go Void of Course mid-Sunday afternoon and then move into heart opening Leo in the early evening, setting the tone for the start of our work week. When the Moon is in Leo we feel more energetic and optimistic. We feel like we can do anything! We crave compliments and appreciation and are generous with kind words to others. This is a time when we seek attention–when we want to stand out for our special qualities. It’s a strong time for romance and any creative activity as well. This can be an expansive, creative, and even romantic phase, a time you’ll look back on with pride and fondness. There’s a lure to colourful, special places like museums, food fairs and festivals and glamorous high-end boutiques that call to our inner child as well now. Happy Sunday everyone! I hope the weekend finds you all well. Today, we are under the influence of a Capricorn Moon, making it a good one for getting plans into place and structuring how we want to do projects. Its a good energy for those projects that require patience and discipline. Let’s see what this coming week has in store for us. Monday starts off with an early dawn Void of Course Moon that will then shift into Aquarius as we are rising to begin our day. Its a good energy for spending time with friends and enjoying social events because the Aquarius Moon urges us to be friendly and outgoing. The Moon in Aquarius can bring blessed relief from too much emoting. It allows us the distance to see the big picture. The mood takes us down tangents of thought or brings exciting flash ideas. It’s a great time for tuning into the collective currents. It favours social networking via the net or experimenting with other technologies that keep you connected. It’s time for embracing the new, the futuristic and innovative. Tuesday is similar to Monday with us still being under the Aquarius Moon’s energy. We also have a square between Venus and the Lunar North Node. Under this transit, we may start noticing that the people in our lives are not giving us the encouragement and support we need where fulfilling our life purpose is concerned. We could run into situations where someone who was giving us support suddenly backs away. Or we find that their actions interfere with what we are trying to do. Disagreements and upsets with others at this time could make us feel less positive about our lives and if this is the case, we need to look a bit more closely at what it is that we are disagreeing about. We need to step back and ask ourselves if our responses to these things mirror our true values, or do we need to tweak our values at this time. Renegotiating our priorities in order to create balance may be needed as well. Venus also rules finances and resources so we could run into issues around possessions, resources and finances that call for adjustments now. This isn’t a very long transit, lasting only a few days. So the things we come across may not be major issues. But if something significant does rear its head at this time, it could be a sign that we have something that needs to be looked at more closely. Wednesday is a bit more complicated for us. We have a challenge between the Sun and the planet of death and rebirth, Pluto. So today will call upon our inner strength as we find our desires clashing with our current circumstances and the demands of others. It can definitely be a time of challenge, feeling our sense of purpose, direction, and identity blocked in this way. We may feel that we are being overpowered by the powers that be and everything seems out of our hands. Some of us may find ourselves faces with difficult people and situations that mean we have to muster our strength and stand up for what we truly believe in. The trick here is to become centred in our own empowerment rather than in power alone. Venus and Mars are in a favourable transit today as well, where we will find it easier to balance out being assertive as well as receptive. Its a good time for initiating those relationship conversations that can take us to a more vulnerable and deeper level. Life does seem to flow easier at this time but don’t let that put you off your guard because it will only last a few days. Since this transit can assist us in getting what we want right now, we need to be careful as we try to identify what exactly it is that we want. This transit brings a sensual energy, a time to be loved and to love back. Lastly, the Moon will go Void of Course in the mid-afternoon before moving into Pisces in the early evening, bringing an almost mystical and dreamy mood to the evening. Thursday continues under a mystical Pisces Moon. When the Moon is in Pisces, we swim in imaginative currents that go beyond the normal limits of space and time. It’s a mood when symbols, music and images convey the messages of the soul. This happens through art, dance, film, photography, theatre and play. A gesture or wise look tells another what words can’t. We’re wrapped up in the mystery that has infinite meaning, and never try to grasp too tightly to its form. It’s a great time to nourish the imagination. We also have a sextile between Venus and Neptune going on today, which also opens up the flow of artistry, romance, creativity and faith. It’s a great day for being inspired and inspiring others. This is a transit that is considered to be a time of blessings and abundance in all areas of our lives. However, there is also that risk of overspending, overindulging, or being overly optimistic which can lead to disappointments if we aren’t careful. Our own natural beauty and warmth is often brought out by this transit. Use this to enhance your own natural gifts rather than waste it on creating an outer façade of something we think other people want. This is the time to let the essence of your own inner beauty and spirit shine! Friday is a quiet one for us with a Void of Course Moon just after Noon. So it’s a quiet one that is good for tackling those humdrum tasks. Its the 13th as well, and a day of superstition that revolved around ill luck. There are many versions of why and when this became an unlucky day, going as far back as the middle ages. One theory is that it relates to Jesus’ last supper and crucifixion, with the last supper having 13 individuals and being on the 13th day, the eve of Jesus’ crucifixion. Another theory links it to Friday the 13th of October 1307, when Philip IV of France arrested hundreds of the Knights Templar. Personally, Friday the 13th has never been more unlucky or lucky for me than any other day of the year. Saturday will be the opposite of Friday’s quietness. We have the Moon moving into active Aries in the early hours of the morning. This means that physical project, such as yard work, gardening, exercise and cleaning are favoured. The problem with Aries though, is that it has a reputation for leaving projects half done because something more interesting came along. So try not to tackle projects that are too big. We have a sextile between Jupiter and Pluto happening as well, adding extra energies to what is normally released, which can enhance our intuition and mental faculties. Adding to this is a sextile between Mars and Neptune, a transit that can pleasantly stimulate our intuition, compassion and idealistic impulses. Its a good time for creating, taking in a film or just enjoying our downtime. We tend to find it easier to let go of anger as dispositions become softer under this transit. Sunday continues with these energies. Happy Sunday everyone and Happy Easter/April Fool’s Day! This week we bid farewell to March and make room April, which should bring us some interesting energies. Mercury will be retrograde will the 15th, so we still have to try to keep things in balance. We also have Saturn and Pluto going retrograde, meaning we will need to be a bit more organized and disciplined. We also have a solar eclipse and lunar eclipse this month, turning our attention to a new 18-year cycle, where the Universe will support new ventures and changes. The Lunar eclipse looks to bring some positive changes financially. For today we have some balancing Libra energy and a sensuous vibe from Venus in play. Its a good day for sharing with a loved one. Now let’s take a look at what the first week of April has in store for us. Monday brings us a conjunction between Mars and Saturn, a tricky little transit that challenges us to discipline ourselves and apply our energy in practical and organized ways. The problem is….we don’t feel like doing that! We would rather plunge ahead, throw caution to the wind and act without a plan…sometimes as an act of defiance. Unfortunately, our circumstances won’t be playing ball with us now, being less than cooperative and tossing frustrating delays, obstacles and anything else that interferes with our plans and slows us down. By staying focused on what is meaningful, we will find that we can make noticeable progress. We also have a trine between the Sun and Lunar North Node, a transit that can make us feel confident, optimistic and empowered. Some may feel its energy a couple of days before and after this date. It could feel as if the pieces of the puzzle in any given situation, are just falling into place, allowing us to make progress in what we’re striving to do in our lives right now. We do need to be a bit cautious, however. Even though it feels like we can go forward we still need a bit of a reality check on the wisdom of what we want to do to be sure its still a good idea. Tuesday is a quiet one in the skies for the most part. We do have a Void of Course Moon in the later afternoon. Wednesday morning starts us off with an optimistic Sagittarius Moon, where we tend to become a bit more orderly and calm, are ready to follow routines and rules and have a need for giving and receiving advice and recommendations. We may find an increase in our interests in social life and where we fit in. When the Moon is in Sagittarius our focus turns from inner soul searching to exploring the world around us. This lunar mood is very adventurous, active and restless for exploration. We want to experience life first hand. we want to get outdoors, see the sights, connect with nature, go places we haven’t been before. It does, however, put us in a risk-taking mood. A need to be in motion makes us very restless if we get bogged down with mundane chores. It’s a good time for speaking our truth, saying it like it is, but we also need to be careful that our words don’t come out with blunt force. The best way to enjoy and us this lunar energy is to keep it light and upbeat. Adding to this is a challenging square between Mercury and Mars, a transit that is characterized by hot debates, fiery speech and lots of arguments. We may experience this in forms of conflict or we may find these exchanges as challenging yet stimulating. We just need to remember to pace all of that mental energy. One of the things we need to watch out for here is that we may have a really short fuse, as will others around us. We can get through this one by keeping a tight rein on our judgement and objectivity when having verbal duels. We can tap into this energy and use it to fan the flames of motivation or take our ideas and use them to generate some positive and constructive action. Thursday brings us a challenging square between Mercury and Saturn, where it can feel like getting from point A to point B is a challenge due to obstacles and delays. Communications may be blocked or delayed, and negative thinking could dominate at this time causing feelings of irritation. Projects we thought were complete may need revision, and others could appear overly critical, insensitive, or sarcastic. In truth, we are likely being more efficient that we actually feel right now because we tend to really pay attention to detail and feel a real need to be accurate and precise in all that we do. The trick is to not take everything so seriously that you end up looking for problems where there are none. It’s important to keep things in the proper perspective in order for us to get the necessary stuff done. By concentrating on learning one thing well today, you will retain it. You may be critical-especially of yourself-as you tend to seek perfection from everything you encounter. Words spoken may challenge what you have long-accepted, causing you to deny their significance. Stay focused yet listen carefully; important information is available. Friday starts out quiet with a Void of Course Moon occurring mid-afternoon. By the early evening, the Moon will be moving into Capricorn, where our emotional charge seems to decrease as our feelings of duty and responsibility move to the fore. We tend to become more practical and logical, as well as more demanding and less sensitive to others and ourselves. When the Moon is in Capricorn, we’re more serious-minded. It’s harder to just hang out. We want to feel productive on something that has substance to it. These days are great for pushing past difficult obstacles. This lunar mood puts the focus on real-world ambitions. We might spend our time mapping out a business plan. It’s timely for considering what’s a good investment of your time, energy and resources. What will bring a solid return? Everything is viewed through a practical eye, including relationships. We can see how to make structural changes that make life more efficient. The weekend is under the Capricorn Moon energy, so we may start to take care of those projects around the home to prepare for Spring or just get things planned out and organize. We have a trine between Venus and Saturn on Saturday, a transit whose characteristics are about stability in both relationships and finances. So these may be the areas of focus for this weekend. During this transit, taking care of the necessary, even unpleasant, tasks seem less of a burden. It’s a time where pleasure is made to last rather than immediate gratification. Some may feel an extra need to prove their responsibility to others. We can also find it easier to focus on projects that are creative in nature. If you are prone to bouts of depression, you may want to be cautious about becoming so stable and grounded that you lose touch with your sense of potential and hope. This is a good transit for making concrete progress in matters that involve love, balance, beauty and harmony. Sunday is a quiet day in the skies.